The comic believes he has been stopped from appearing at the new look venue because his act is too saucy. He says he is angry and gutted over the move insisting his publicity material makes the sort of content clear and anyone easily offended can simply stay away. Middlesbrough Council claimed the decision was simply based on the fact the programme for the recently relaunched theatre was full. 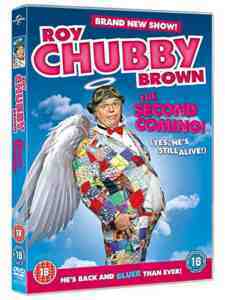 Most people are able to make up their own minds about whether they want to see Chubby Brown or not. No need for venues to make that decision for them. Maybe we should all boycott the town hall!